LiDAR Filters | VIAVI Solutions Inc.
As technology companies and auto makers add new functionality to make cars more automated, LiDAR (Light Detection and Ranging) systems play an important role in ensuring that cars accurately sense and react to the environment around them. Viavi optical filters address two major issues for LiDAR systems in self-driving car designs: enabling a light signal to travel further and the ability for the optical filter to operate at a high level of reliability in the brightest levels of sunlight. 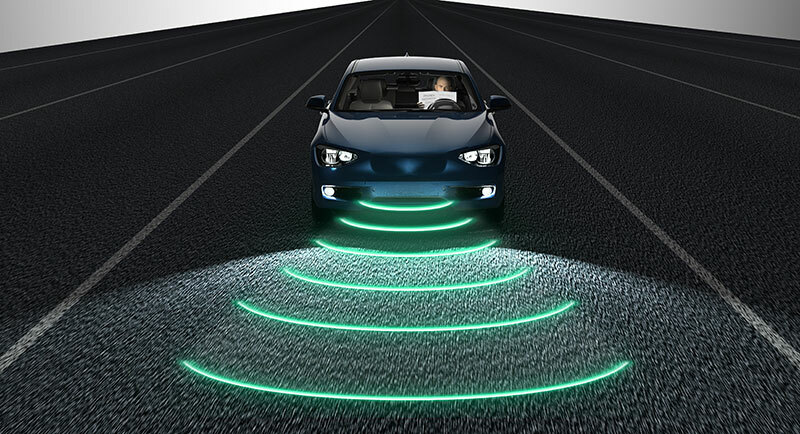 In parallel with LiDAR systems for external measurement, technology companies and car makers are also exploring sensing technologies for inside the car. Viavi is currently developing optical filter technology for in-cabin systems that measure the biometrics of the driver. In addition, the same Viavi filter technology is moving into a variety of other areas as electronics become more intelligent, automatically recognizing and adapting to a variety of internal and external conditions. Applications include depth cameras for 3D mapping, iris scanning for biometric access, proximity sensing for automatic adjustment of electronic displays, robotics and people counting. Viavi has successfully produced more than two hundred million optical filters since 2012. The proven quality, precision, durability and scale of its optical filters will help propel various phases of automated vehicles and other sophisticated sensing applications over the next decade. VIAVI OSP has been delivering 3D depth sensing filters from the technology’s roots in the revolutionary Microsoft Xbox Kinect. Through multiple generations of increasing performance and decreasing cost, we remain the industry’s leading supplier of high performance filters for depth-sensing systems in consumer electronics. VIAVI OSP has a rightful claim to mastery. Since 1948, we have continued to pioneer the development of advanced optical coating technologies. There is a fascinating world to be seen beyond the range of human vision. Hyperspectral imaging – seeing beyond the visible spectrum with much more color detail – allows us to explore the invisible world that surrounds us.